Most of the commercial bars you find in your local grocery or drug store are not soap. When you read their labels they state they are a”moisturizer bar”, “body bar”, “facial cleanser”, “shower gel”, or something similar. These products are usually detergent bars made from petroleum products, chemically treated animal fats, chemical stabilizers, chemical hardeners, artificial foaming agents, and a list of chemicals that are difficult to pronounce. These bars are mass produced from the cheapest ingredients available. Glycerin is a byproduct of soap making but most commercial bars remove most if not all of the glycerin. They in turn sell it or use it in more expensive products.We don’t remove it. Our soap contains natural glycerin. This is what helps your body to maintain its own oils and moisture. Your skin is the largest organ in your body. It absorbs many chemicals and allows them to enter your body. Many people have dry, irritated, reddened, flaky, itchy, or damaged skin. Most commercial cleansers simply strip your body’s natural oils and leave behind an artificial layer of petroleum product and chemical fragrance. Many people are allergic or sensitive to chemical ingredients in commercial bars. Our soap is real soap. It is made with pure, natural ingredients. We use saponofied oils of Coconut, Canola, Olive, and Palm. We scent our bars with either pure essential oils, or fragrance oils. We use Micas & Natural Clays for colour. Many of our customers report great improvement in their skin condition with less dry, flaking, itching. Often, our customers report dramatic improvement in their Eczema, and Psoriasis. We are very happy to have so many repeat customers. They tell us that they won’t go back to their “old soaps” because their skin feels and looks so much better. Many customers report back and tell us that they no longer need to use moisturizers to ease their dry skin. We hope you enjoy our products. We would love to hear from you! Your feedback and suggestions mean a lot to us. 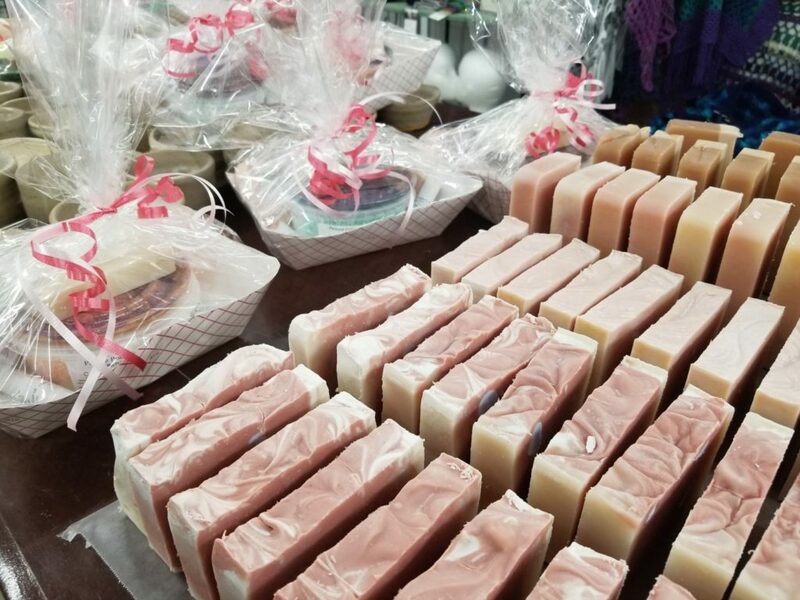 Please email us and let us know how you enjoyed our soap.